Today’s public sector organizations are required to do more with less budget—all while addressing rising mandates for transparency, fiscal accountability, and compliance. To succeed, public sector organizations must modernize their workplaces and standardize key business processes to stay efficient. Strong public financial management (PFM) systems are essential for effective and sustainable economic management and public service delivery.IFMS™ can enable prompt and efficient access to reliable financial data and help strengthen government financial controls, improving the provision of government services, raising the budget process to higher levels of transparency and accountability, and expediting government operations. Our IFMS™ solution provides public sector organizations with a comprehensive solution with functionality that assists them to operate efficiently and improve productivity, while meeting complex regulatory, budgetary, and grant compliance requirements. Here is a list of benefits across our Public Finance and Revenue Management offerings. Our public finance and revenue management offerings give administrative bodies various capabilities ranging from effective management of financial resources and simplification of the process of paying taxes to tracking cargo and registering motor vehicles. The GOM wanted to implement an Integrated Financial Management System for its various assemblies spread across the country. With Techno Brain’s IFMS™ solution, GOM gained many advantages, such as - real-time access to information, increased efficiency, quick and effective decisionmaking, enhanced visibility of taxation requirements, improved budgeting and streamlined revenue management, hassle free procurement process, automated accounting processes, and compliance with reporting. 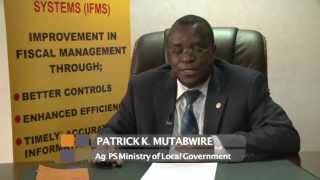 The Government of Uganda wanted to implement an Integrated Financial Management System for their geographically dispersed local governments. With Techno Brain’s IFMS™ solution, the Government of Uganda gained many advantages, such as - real-time access to information about grants from different sources, increased efficiency, enhanced visibility of taxation requirements, quick and effective decision making, hassle free procurement process, improved budgeting and streamlined revenue management, compliance with reporting, and automated accounting processes.